Like in our last years, there is a geekroom contest. Very simple: Take pictures of your collection, write a little description of it and what pieces you are very proud of. Subject: Geekroom or Geekkingdom – depending on which contest you want to join. Before running to your room, camera in hand, please read yourself trough the rules! As last year, there are two contests. So there are different rules. Geekroom: The geekroom is for Otakus of each age, who live with there parents or any shared place. The standard chaos coming up, if you try to get all your collection into one room, same as the collection itself and the whole impression are important criteria. To join: You need 8 photos of your room (=1 room) and a description (about one DINA4 page). Geekkingdom: The geekkingdom contest is for those living in their own appartment and got their collection spread all about the place. Important here ist your collection and your presentation of it. To join: Here you can/should send 16 photos of your kingdom and add two pages (DINA4) filled with bragging about it. Collectors Award: This special price is given to one contestant that stands out of all the others for a special reason. If the contestants are about even, this price ist not given at all! 1 – It should be your collection and you are not allowed to reuse last years contest photos! 2 – Photos should at least have a resolution of 1024×768 pixels. 3 – Please put the text in whole sentences! No headwords/keywords. 4 – Dont’t forget to mention your special treasures and rares! We may not even notice it, if it is somewhere in the picture! 5 – To make it easier for us to connect some textlines to something in your picture you are allowed to add extra pictures with markings. Those do not count to the picture limit mentioned before! Please add any marking to them, so we know they don’t belong to the contest-pictures! 6 – Please send an extra E-Mail without add, so we can inform you if maybe your pictures were too big to get through! 7 – And please add an extra page with your real Name, your address and the nickname which you want to contribute with. There will be again a Pokémon-Tournament with the newest editions Alpha Sapphire and Omega Ruby being as the motto. All that you need is your Nintendo 3DS or 2DS, a valid edition and a Pokémon team which are within the rules of the contest. Attention! There are only limited passes for trainers. If you have a Con-ticket for all three days, you can only sign up online. All of you who can’t come on Friday, you can sign up on Saturday at the Convention. Also here are the passes for trainers limited and you can only sign up if you have a ticket for Sunday in addition. Over the course of the day are our team member are scattered in their Cosplays of the Gym Leaders out of OR/AS. You have to search, challenge and defeat them, so you can collect their badges. You’ll gain a sticker which will be placed into the pass. A Gym Leader can be challenged 3 times. If you lose 3 times you will be disqualified. If you lose a match you have to go first to the Pokémon center and get yourself “healed”. The Gym Leaders don’t have to be defeated in the same order as used in the game. Every person who collected all the eight badges by the end of the day is qualified for the matches on Sunday. Our team members are scattered in the Cosplays of the Top 4 from OR/AS. The procedure is the same as on Saturday. The only exception here is that the Champ can only be challenged if you defeated all of the Top 4. Only the first person who beats the Champ will win a prize. One of the Top 4 can be challenged 2 times. If you lose 2 times you will be disqualified. The Champ can only be challenged one time. There will be a winner for the beginner and a winner for the intermediate. As soon you signed up, you’re agreeing not to avoid any of the fights. We won’t make it easy for you this year. On both days you can expect serious fights. All of the challengers will get a Pokémon button which must be placed clearly visible. If not you will be disqualified. If you have questions please use ONLY our Facebook page. There will all the questions be answered ASAP. In this contest the candidates have to guess the characters from an Anime from their voices. So that the contest won’t be too hard, we only use key scenes from the Anime. The scenes contain familiar names, locations or other well-known features will be played. In case the voice actor had other roles in different Anime you can narrow the possibilities. Additionally four different possible choices will be provided. The contest contains both German dubs and original Japanese voices. Genres will range from the girly Shoujos up to bloody Horrors. The team with the most points is the winner. You think you know your favorite Anime well? Then you can prove it here in our “Character Quiz” and guess your characters via their voices. So what’s this all about? Really simple: You have to guess the character and the Anime just from hearing the voices. Is it impossible? No. We want to test your sense of hearing and if you know your favorite Anime well enough. Ok got it and how does this work? You will compete in a team of two. Since the places are limited, please rush ASAP to the information table and sign up. You can ether sign up as a team or in case of single sign ups we will throw the singles into a team. The process is really simple. You will hear a scene from an Anime and you have to guess which character is speaking and which Anime it is. You can choose from 4 different choices. For each right answer you will get a point. True gamers show their talent at AniNite 2015 in a video game competition. It is worth a look or two! This years topic is spread wide to give your creativity a little bit of possiblities to play with! 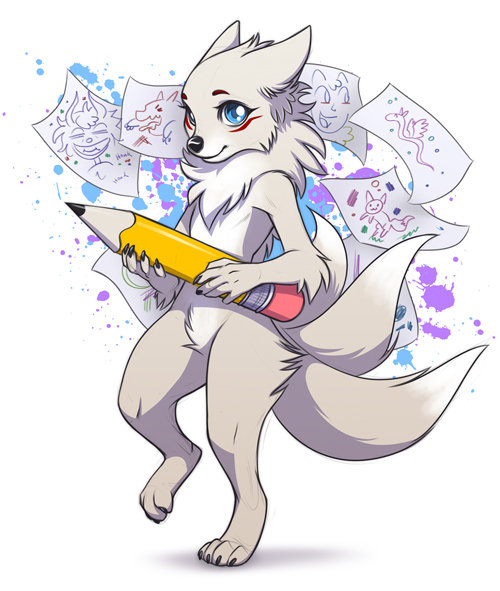 It does not matter if you want to draw your favorite Kitsune-character from any anime/manga/video game or if you want to create your own interpretation of the traditional japanese mythical creature – everything is possible and legit, as long as it is clearly recognizable as a kitsune. You can draw your artwork traditional style or digital style. Size allowance ranges from A3 to A5,so it does not matter if your picture is 20cm x 20cm or A4, this does not count for evaluation. Resolution must be at least 300 dpi. You can send your picture to fanart@aninite.at or bring it to our booth at AniNite on Friday, 28th of August 2015 until 8pm, we will have a scanner available for traditional work, but we prefer you having your picture scanned in at home and brought to us with a USB-stick. Same goes for digital artworks but vice versa. We can print them out at AniNite, but having them printed out by yourself might result in a better printing quality (pictures sent to us 3 days before the deadline may be printed out in high quality by the AniNite staff). Artworks will be displayed at AniNite. We assume no liabilty for original content!!! IMPORTANT! In order to win you have to be at AniNite on Sunday and be able to claim your prize! Each category (traditional/digital) will have 3 placements (no categories for ages, etc.). Mixed categories will be sorted into one category by the jury.(eg. pencil work with digital coloring would be ‘digital’ since most of the work was done at the computer). Your work will be evaluated for technique and creativity. There is a possibility for special prizes for most creative/funniest work (wich may not be the best in terms of drawing quality but may present a very good idea nevertheless). And for the smallest fans and drawers we have special-category called the ‘Kiddy-Special prize’ for children under 12 years. By that rules everyone has the chance to win a prize, unheared of the drawing skills. The picture mustn’t have been published before and must not be stolen. Traced pictures are not really welcome as well! We reserve the right to disqualify any suspicious images. Please keep your work free from pornographic images, exzessive violence and other stuff which may not be suitable for underage visitors at AniNite. Also we can not accept images which contain content contrary to the Austrian law! As offered every year, this year Aninite again allowes you to step up to do some DDR fun with your favorite anime-tracks and other songs from a wide range of genres. It does not matter if you are a DDR pro or just a beginner, everyone will be welcomed with open arms here. Give it a try and show off your skill. Cheers guaranteed! 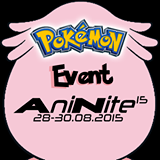 The 2015 AniNite tournament will be hosted in two leagues: Beginner and Advanced. The system we play will be the so-called „King of the Hill-system“. This means you do not compete against one opponent every round but have to compete against the whole league every round. Questions can be called out to the local DDR-staff.Same goes for the sign-ups which will be processed directly at the DDR-booth at AniNite 2015. Prizes are sponsored by EMP! Same as last year there will be an AMV Contest held at the AniNite. As soon as the requirements and rules are specified, they will be presented here. Everybody can participate in this league. 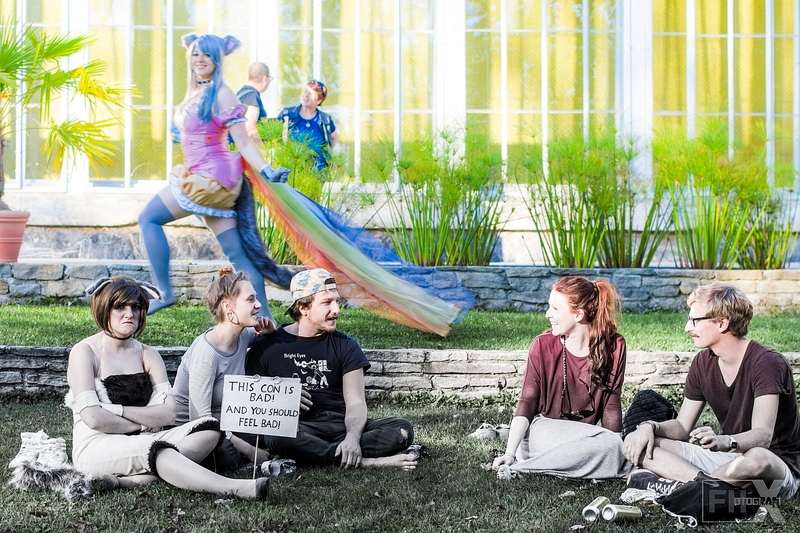 Every event that deals with Cosplay, Japan or its culture can participate. Every participant has an overview of his current score and the next participating event.